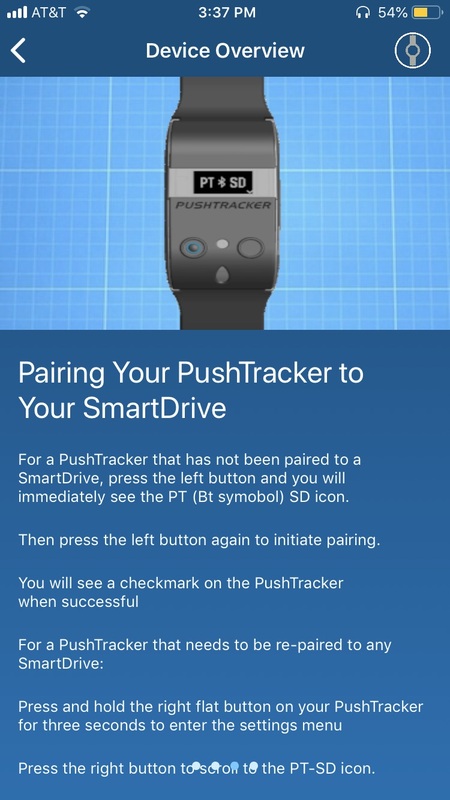 Download the Smart Evaluation app for access to enhanced chair performance and usage information. 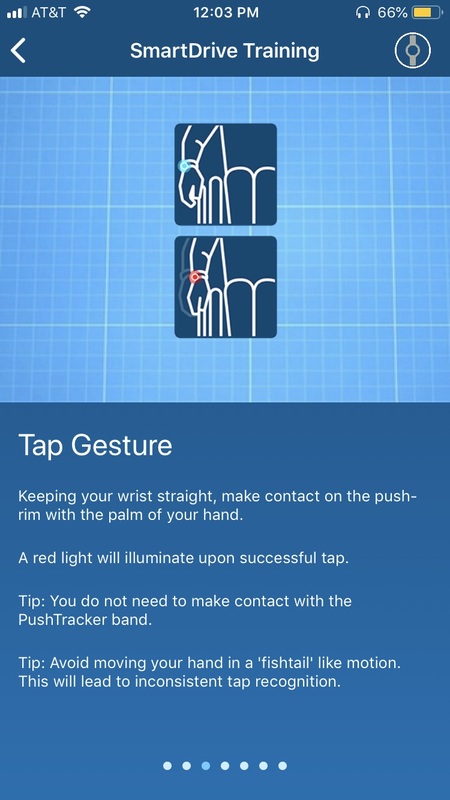 PushTrack settings allows you to adjust max speed, acceleration, and tap sensitivity. Easily select your control modes (e.g. MX2+ or MX2), as well as turn on the EZ-On function if you have decreased hand or finger strength. 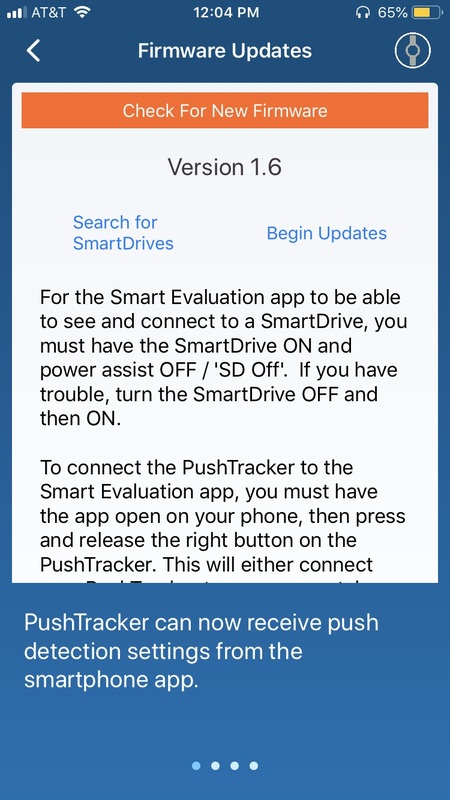 Effortlessly keep your PushTracker and SmartDrive up to date with the Smart Evaluation app. Push notifications will alert you when updates are needed and can quickly be applied at the touch of a button. We see a wheelchair the same way you do. As an extension of you. Not just of your body. But of your personality. Why? Because many of our employees are also wheelchair users. They depend on our chairs as much as you do. And they’ve learned through experience how to use design, technology and creativity to improve lives.